Unlike similar organizations of its size, the Anchorage Folk Festival has no paid staff and is entirely an all-volunteer organization. For the past twenty years, the festival's success has depended on our hard-working team of AFF volunteers. 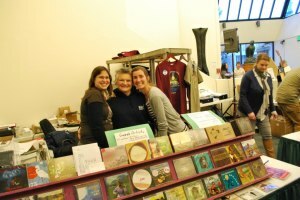 We would really appreciate your help in producing the Anchorage Folk Festival. If you are someone who likes to get more involved, we have opportunities all year long! We need people to distribute flyers and posters, assist at fundraising events, help with festival sales and logistics, and take on a variety of small tasks during the year. Whether you have one hour or one hundred hours to volunteer, we need your help! Mailing address for AFF announcements and newsletters! Are you an AFF member? Membership is encouraged since it helps to keep the festival free to the public, but it is not required. Are you a UAA student? This festival partners with UAA Student Activities - We would like to know if any UAA Students will be involved.